One way or another, we have all heard of the “perils” of revolving credit. About how greedy corporatists will sucker naïve young consumers into signing up for a credit card with a $1,500 credit line at a 20% annual rate for a free t-shirt, and how those doe-eyed young people end up paying tens of thousands of dollars for their “free” swag. Is it really that bad? Or is it really just that bad for people who make poor use of it? Currently rates are just over 13% on fixed rate cards and just under 16% for variable rate cards. It’s still not cheap money, but it’s there and it serves a purpose for millions of Americans. Used responsibly, it can even help you more carefully track expenditures and save money in the long run. No, it is never responsible or financially prudent to max out numerous credit cards with the intention of making only the minimum required payments. If you choose to engage in that sort of activity, you’re going to have an increased financial burden. Do not attempt to use credit cards if you lack self control. Using revolving credit responsibly usually means carrying no balance forward from month to month. Paying the balance in full every month is the key to making this work. Look for cards with a cash back or a points system that credits you at the type of establishments you frequent. Use the card for every purchase you may normally use cash or a debit card for and you can quickly accrue enough points or cashback to not only pay for the card’s issuing fee, you can also eventually earn rewards. This is an excellent way to establish credit worthiness or to rebuild a lackluster credit score. It shows positive activity without accruing additional debt. 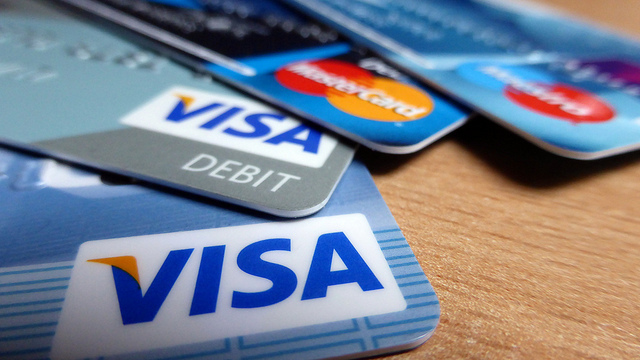 Additionally, cards from major retailers (Kohls, Belks, Macy’s, JC Penneys) usually offer revolving credit for use in their stores at competitive rates (that will not affect you if you pay it off every month), that give cardholders access to discounts not available to the general public. These savings could add up quickly for a growing family. It is the real world, and occasionally things like unexpected opportunities or unforeseen expenses happen. Your water heater may breakdown or your neighbor may decide he has to sell his two year old Cub Cadet zero-turn mower for less than half of what he paid for it. Both are excellent examples of situations that might be acceptable exceptions to the “never carry a balance” rule. Even so, paying those balances off quickly should be of paramount concern and that is why checking for the lowest rate is important, even if you intend on paying the balance monthly. As with most things, responsible use by actively aware consumers can lead to some fairly substantial benefits, while irresponsible behavior leads to stress and higher cost. It is not free money, and people who treat it as such will end up paying in the long run.However, wise use can lead to greater financial flexibility and even save you money.